Ace of Base is the third-most successful band to come out of Sweden. The original band members consisted of Ulf Ekberg and siblings Jonas Berggren, Malin Berggren, and Jenny Berggren. Their album, Happy Nation/The Sign is one of the best-selling debut albums of all time. It was the first debut album to produce three number 1 singles on the Billboard Mainstream Top 40 chart: "All That She Wants", "The Sign" and "Don't Turn Around"
Linn Berggren left the band in 2007, but the band continued on as a trio until late 2009 when Jenny announced that she would be taking indefinite leave from the band to focus on a solo career. In 2009, Ulf and Jonas recruited 2 new female vocalists, Clara Hagman and Julia Williamson. 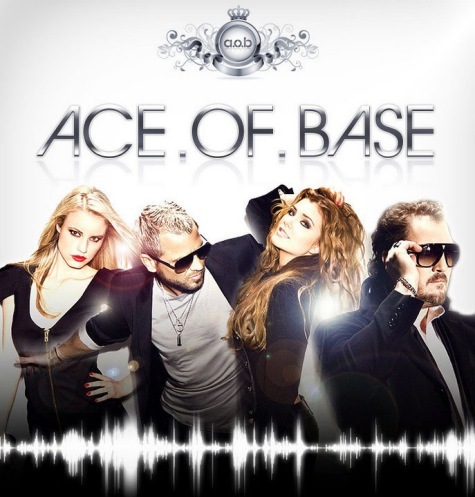 "All That She Wants" led Ace of Base to take off internationally. After hearing Swedish top 20 hit "Another Mother" by Kayo, the band decided that was exactly the sound they wanted to create. A demo version of "All That She Wants", titled "Mr. Ace", was produced in 1991 and featured different lyrics and rap vocals. The song was initially in major key but was changed to minor upon Linn Berggren's insistence.Jonas and Ulf contacted the producer of "Another Mother", Denniz PoP, and sent him this demo. The tape got stuck in the cassette tape player in his car, so he listened to it over and over again, which helped him decide to produce the track. Denniz was not fond of the rap vocals on the original demo, and these were subsequently replaced with short spoken word sections. Ace of Base would later collaborate with Denniz Pop on "The Sign" and multiple tracks on the band's sophomore release, The Bridge. "All That She Wants" is a dark fusion of dub-reggae with pop which became the band's trademark sound. On release in October 1992, it quickly climbed to number one on the Danish chart while the previous single was still sitting at number two.